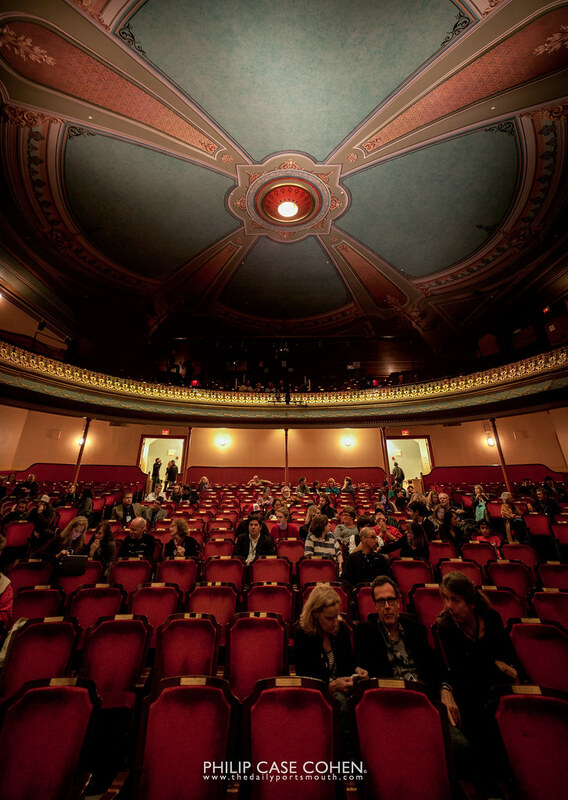 Another year at the New Hampshire Film Festival has come and gone, tons of great films, great people, good fun, food & drink – all in all a great weekend for Portsmouth and those who came out. Today’s shot was taken just before the closing ceremonies in the historic Music Hall. I always love this lighting setup and the way that the ceiling is illuminated. Congratulations to all of those who made it happened, especially Vital Design, Zac and Nicole Gregg and the dedicated team! I was once again honored to take part in the festivities and provide a photo for the branding and pretend I was a paparazzi for the weekend.